Bwin.party believes Pennsylvania will be the next state to legalize online poker and gambling, and to that end has reportedly secured a deal with an unnamed land-based casino. The gaming network apparently plans on being the first to market in the Keystone State, just as it did in New Jersey. Bwin.party CEO Norbert Teufelberger confirmed a partnership was in place to eGaming Review, but opted to withhold naming with which Pennsylvania brick-and-mortar casino the online gambling operator had aligned. “There is one state which is quite hot right now, which is Pennsylvania… We’ve identified a market access partner,” Teufelberger said during a conference call with investors this month. Pennsylvania lawmakers have proposed two iGaming bills, but both will mandate Internet gambling operators to partner with a brick-and-mortar casino to offer online services. 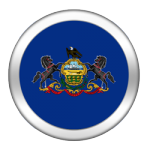 The Pennsylvania House Gaming Oversight Committee is scheduled to hold a public hearing to discuss Internet and mobile gaming at the State Capitol on April 16th. With 12 casinos currently spread throughout the state, narrowing down the potential suitors for bwin.party is a complicated and difficult task, but one clear favorite has emerged. Although bwin.party isn’t naming names, analysts in the gaming world are actively trying to identify the Gibraltar company’s new Pennsylvania friend. While Sheldon Adelson‘s Sands Casino Resort Bethlehem can be eliminated from the list due to its owner’s anti-online gambling positions and championing of RAWA, 11 other potential matches remain. Atop the pool of viable partners is the Parx Casino, a venue just north of downtown Philadelphia, and one that is the state’s most profitable gambling location. Of the 12 casinos, Adelson’s Sands and Parx routinely double the revenue earnings of the other 10 venues combined. With Sands off the table, Parx is unquestionably the most financially strong option in Pennsylvania, with a 60-table poker room, 140 live table games, and 3,500 slot machines. The World Poker Tour (WPT), under the auspices of bwin.party, has also held live tournaments at Parx in recent years, meaning a relationship is already in place between the two companies. Of course, nothing is a done deal in business, and that especially holds true for the gambling industry. Pittsburgh’s Rivers Casino and Philly’s SugarHouse Casino are additional candidates since the same company, Rush Street Gaming, owns both of them. 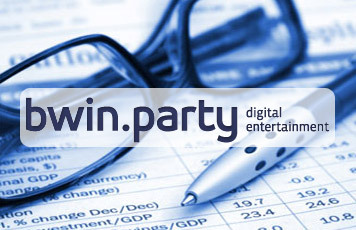 A bwin.party agreement would give partypoker.com a two-casino partnership, bringing the all-important player liquidity model to the hypothetical deal. Four casinos in New Jersey’s Atlantic City closed in 2014, a fate that Pennsylvania seems to be approaching if change isn’t implemented quickly. Revenues from Keystone State casinos continue to decline, as new venues in neighboring states, such as the Maryland Live! complex, divert wagers away from its borders. According to economic studies, Pennsylvania could increase gambling revenues by as much as $300 million each year if it legalizes online gaming and poker. With newly minted Governor Tom Wolf proposing a $78.6 billion budget, an increase of $6.8 billion that comes with reduced property taxes for lower and middle-income families, lawmakers will likely be scurrying to find additional revenue streams.